MyMemories Blog: Meet today's Daily Designer.....Autumn Owl Designs! Meet today's Daily Designer.....Autumn Owl Designs! Autumn Owl Designs is so excited to be the Featured Designer today! In addition to the great blowout sale in the shop (lasting until Cyber Monday, with discounts from 50% to 75% off storewide!) I am sharing a cookie recipe that is a huge hit with my friends and family. I love this time of year, when the skies are grey and the weather insists on me wearing scarves and sweaters. For my friends on the other side of the equator, summer has just begun, but here in the north we are facing winter. And with winter, comes the holiday season. I love to bake, and this year I am making between 20 and 30 cookie tins to send out to my friends and family. 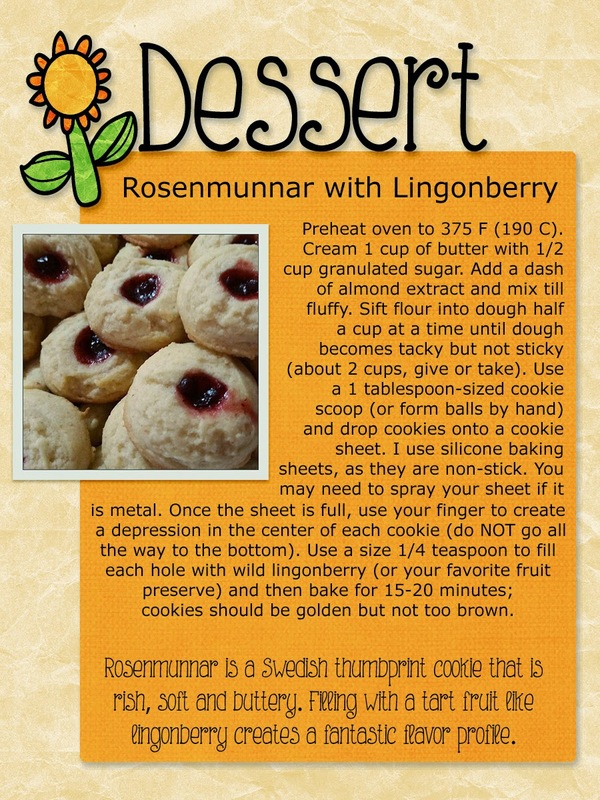 So, in the spirit of baking, I am sharing a recipe for Swedish thumb-print cookies. I found a jar of wild lingonberries at WalMart in the canned fruit aisle, but you can use any preserve or jam you'd like. These cookies are disappearing faster than I can make them! Hope you enjoy these like we do. Enjoy BIG savings in the Autumn Owl Designs Shop!